Presented by Anita Delmar, B.Sc., B.Ed. Are you frustrated because you know your son is intelligent and you just can't understand why he has been unable to get the results in math or science you know he is capable of? Have you ever wanted to help your daughter but didn't know how because math and science were never your subjects either? Awesome Grades in Math and Science (AGMS) is a truly unique program that has transformed the lives of countless students... and their parents. AGMS is used by thousands of students, teachers, and schools throughout North America and abroad. Why? It is an easy-to-use, entertaining, and motivating program that gets results! It contains all the tools your teen needs to excel in grade 7-12 math and science subjects. We will be forever thankful to Ms. Delmar for believing in our child and making her dream come true i.e. to continue with science at university." I believe that without Ms. Delmar's encouragement, I would have never reached my maximum potential in school." Ms. Delmar's teaching methods helped my grades improve immediately, and my attitude improve indefinitely." Awesome Grades in Math and Science is unique because it enables students to overcome the obstacles that cause them to struggle in math and science subjects. There are literally thousands of resources available that students, parents, and teachers turn to for help in math and science -- books, videos, software, Web sites, tutors, and learning centers. Yet so many students continue to struggle in these subjects. Why is this? The answer, in my experience, is that the vast majority of these resources focus exclusively on the subject matter and not at all (or very little) on essential learning skills as highlighted above. I am not saying that resources that focus solely on the subject matter are not important. In fact, they too are essential (which is why AGMS includes some of the absolute best math and science Web resources available). ... then you are shooting off target. The bottom line: Math and science learning skills are critical to lasting success in these subjects. No doubt about it. Many students (and people in general for that matter) believe that you must be born with "natural" ability to succeed in math and science subjects. But this is a myth. Of course, it is true that some people are more naturally inclined to grasp math and science concepts than others, but this is only a minor factor in determining academic success. Having personally worked with literally hundreds of students from virtually all walks of life, I can tell you without a doubt that the math and science ability you are born with does not determine your level of success in these subjects. The truth is that in most cases, success in math and science is about 10% natural ability and 90% genuine effort. Another reason why students lack confidence in their math and science ability and lack the motivation to put forth a fair effort is that they've never done well in these subjects before, so they believe they never will do well. But in actuality, this belief is the result of never having acquired the skills necessary for success in math and science. The point is that with the right tools, any grade 7-12 student can improve his or her level of math and science achievement. All it takes is acquiring a few essential skills. And with the right approach, any student can master these skills quickly and easily. ... she has developed strategies and materials for students which are as interesting to students as they are effective. Having had the privilege of helping to 'field test' a few of these methods I can attest first hand to their efficacy - they work!" "… Ms. Delmar's teaching methods gave me the confidence and the skills needed to pursue advanced scientific studies. The fact that my high school science marks improved by two full letter grades shows me that Ms. Delmar's teaching style works very well for a student like me who is not a naturally scientifically inclined person…"
"Anita is skilled at helping students master the tools they need to succeed." It lends structure to the learning process, and virtually every student needs more structure. It gives students direction so they know exactly how to get started and what to do next at each stage of the learning process. Every method and strategy is clearly laid out, step-by-step. As your teen applies each method or strategy to the specific math or science subject matter he needs to learn, he is able to grasp the concepts much more easily. As he practices using these methods just a few times, the skills he acquires will become second nature to him. By using AGMS, your son or daughter will quickly experience an accumulation of small successes that creates a growing level of self-confidence and motivation. Math and science subjects turn from an impossible struggle into an exciting, attainable challenge. This change in outlook is critical to true and long-lasting math and science success. "... At first math class was difficult, or rather, as I saw it, impossible... It was with the techniques you provided that I became able to tackle obstacles... I feel like I have gained a tremendous insight into the math logic I find so illogical..."
"I have seen Anita logically and systematically define and clarify the essentials of the grade 9 and 10 science curricula to students with learning disabilities, thus enabling the students to grasp complex scientific concepts with ease rather than frustration." Ms. Delmar taught and encouraged me to rise to the occasion and work to my full potential. Thanks mainly to her, I managed... to be selected as one of the 70 students worldwide to research at one of the top Technological Universities in the world and have generated good enough marks and a passion for the sciences to decide to pursue a career in sciences." The AGMS Main Volume consists of over 200 pages of highly effective, proven strategies and methods that can be applied to virtually any math or science subject. But don't worry about your teen being overwhelmed - she certainly doesn't have to use all the tools I provide to see improvement. And she definitely does not need to put all of them into practice at the same time. how to get past "math phobia"
By practicing just a few of the above strategies and methods, your teen will develop the skills needed to become an effective learner in math and science classes, even if he or she was not born with a high level of "natural" ability in these subjects. Now I am in the school of Architecture at McGill University and I can honestly say that Ms. Delmar played an important role in my high school experience leading me to where I am now." ... Anita's motivation, encouragement and guidance has given my daughter more self confidence to persevere and see improvements in her understanding of math. ... The improvements continue both in her marks and in her confidence. Anita's teachings have impacted positively in making my daughter's school year easier to manage. Anita is a dedicated and professional person who genuinely cares about the well being of her students." Tool #2: "The Awesome Student's Action Plan Checklist"
The Awesome Student's Action Plan Checklist is every student's irreplaceable diagnostic tool. It is used in conjunction with the AGMS Main Volume as a foolproof way to ensure that your teen has done everything he needs to do to attain the grade he wants in math or science class. The checklist is divided into sections based on common themes, for example: Mastering Problem Solving, Acing Multiple Choice Tests, Success Scheduling, etc. - 13 pages in all. Each section incorporates ideas from one or more related lessons from the AGMS Main Volume. Your teen goes through the checklist and checks off the strategies he has already completed and indicates the ones that he still needs to do or re-do. It enables him to zero-in on exactly what he needs to do to get the result he wants with pinpoint accuracy. No stone will be left unturned. Tool #3: "The Ultimate Web Resource List for Math and Science Students"
This is my personal collection of the "best of the best" in math and science help sites - more than 40 in all. The sites are organized into categories based on their purpose, and each site listing contains a brief overview of what the site covers and how your son or daughter can make best use of it. Best of all, the list is continually updated for our customers. No outdated sites here -- just a growing collection of the absolute most helpful sites on the Net. A real time-saver! "The resource list is a goldmine!" Tool #4: Subscription to "The AwesomeGrades Newsletter"
The AwesomeGrades Newsletter will keep you informed about anything new which will support your teen in his quest for awesome grades in math and science. The best new help sites, new strategies, student success stories, and more. But unlike most electronic newsletters which fill up your mailbox month after month with useless junk and product plugs, The AwesomeGrades Newsletter will only be e-mailed to you when we have something new of real value to offer you. You may receive it twice in a month or once every three months. It may be 5 lines or 5 pages. But rest assured, we won't bombard you with meaningless trash. Whatever the frequency, whatever the length of message, you can count on The AwesomeGrades Newsletter to deliver awesome tools. I am sure that both parents and students alike will benefit from this guide." "Anita provides step-by-step methods for solving math problems that enable students to strengthen their grasp of mathematics. Anita's problem solving methods have also helped me teach the material more effectively. Clearly, Anita is a teacher who is able to break down abstract concepts into manageable components in an organized, thorough and accessible manner." I am thankful to Ms. Delmar, for having taught me effective study skills, that have stayed with me through high school and into university, and I am certain will continue to have a lasting impact on me." "Anita Delmar is an outstanding teacher who takes endless trouble to present her work in a creative yet thorough way, so that every student can benefit from her instruction. I am sure that she is doing many students a great service by creating this program." An AGMS Single Computer License is only $29.95 (US dollars)... less than the cost of a typical one-hour tutoring session -- yet the benefits will last a lifetime. If you want to use the program on more than one computer, you can get an AGMS 2 Computer License for only $39.95 or an AGMS 5 Computer License for only $69.95. Your purchase is backed by our 1 Year Unconditional No-Risk Guarantee. If you are not completely satisfied, just ask for your money back anytime during the next 12 months (yes, a full year!). We'll fully refund you immediately, no questions asked. Ready to discover AGMS? Click here to order now and get started within the next few minutes. 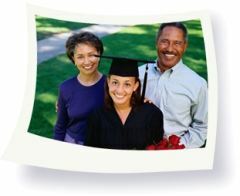 Don't put off giving your teen the opportunity to achieve the results you know he or she is capable of. Click here to order now -- 100% Risk-Free. You simply can't lose... but you have a whole lot to gain.